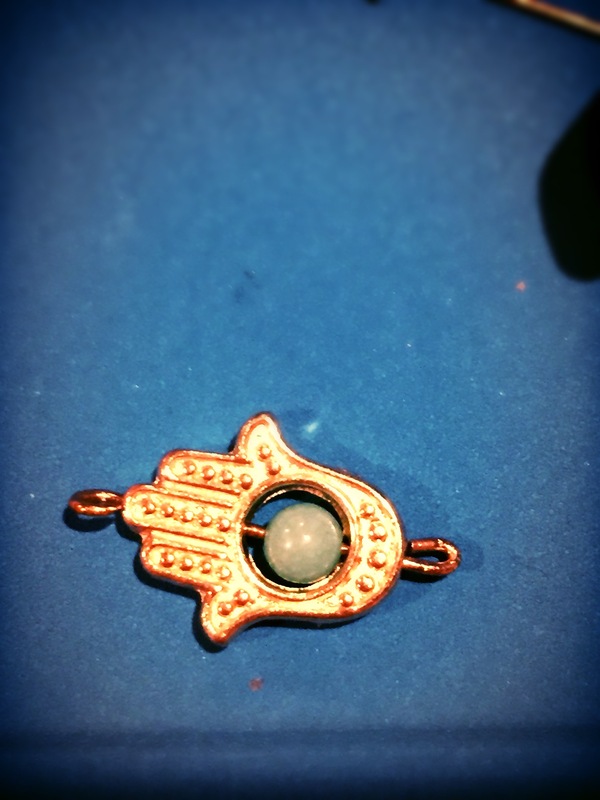 The Hamsa is a universal symbol used in many cultures to ward off evil spirits or offer protection from the “evil eye”! 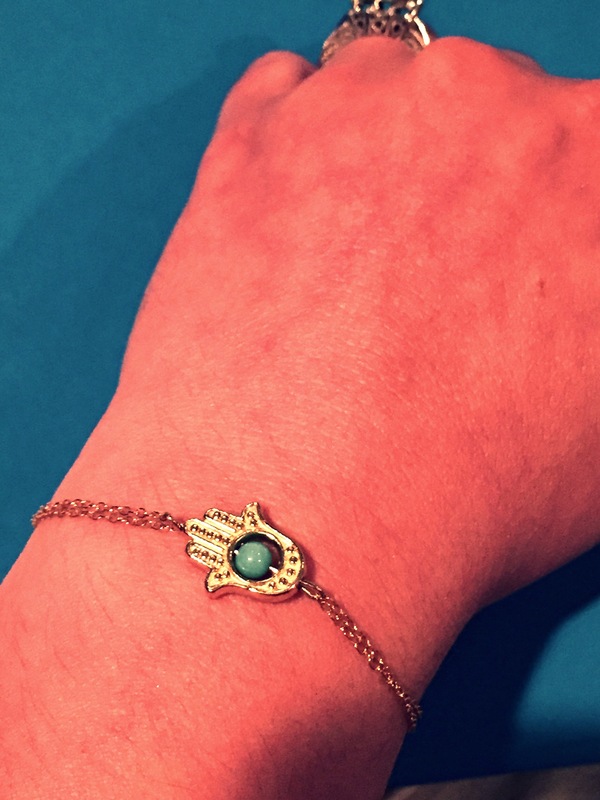 Not only is it a sign of protection but also blessings, power, and strength. 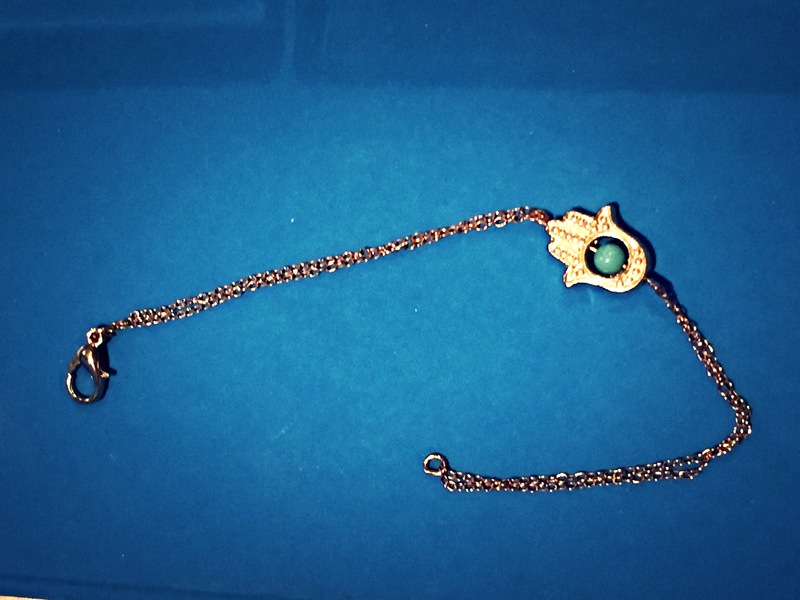 So today I’m going to show you how to make a simple Hamsa bracelet! I have a picture tutorial for you all and will list the items I used and where I purchased them at the end of this post. 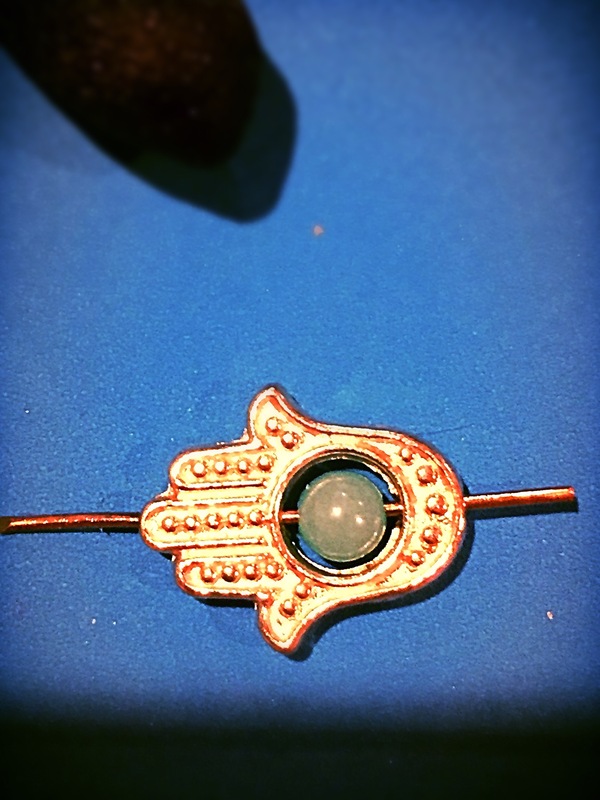 You can also find this on my Etsy Shop! 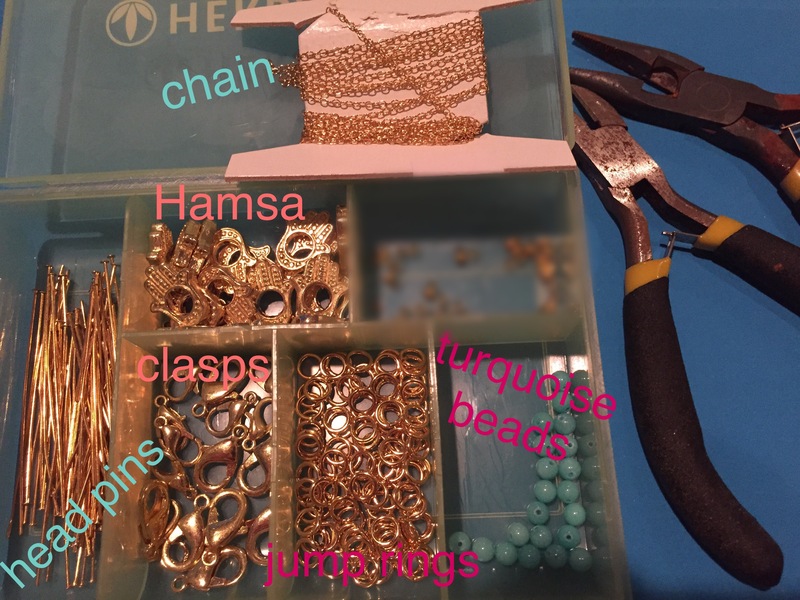 Notes: You can find most jump rings and clasps in a set to purchase at Michaels. 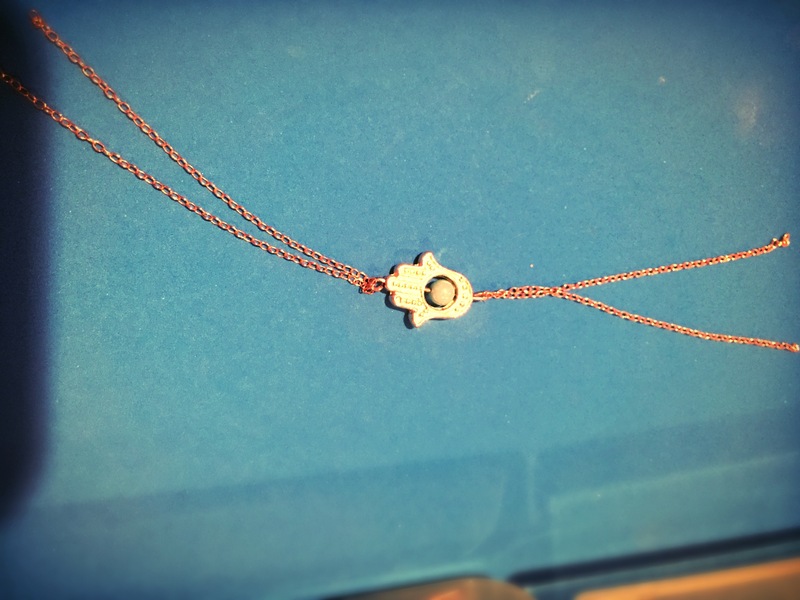 I happened to only have a thin gold chain so that’s why I looped it to make the strands have a little strength, but you can use any size you’d like (and same goes for the clasps and jump rings). I only had gold plated head pins, so I cut it down to make eye loops, if you have eye pins it makes the job easier and one less step to do.